Competition and sport can teach you many things about yourself and your development off the court. I’m writing this short article about a particular journey one of our juniors is taking at present. I wanted to share it with you all as I am very proud and also very aware that many coaches/parents/juniors/adults will have had similar situations or challenges in regards to this topic. A few weeks back we took a group of players to the Dutch junior open. It was a first time experience for many of them and they all had different goals, ambitions and challenges they had to face. For one young man getting invited on the trip in the first place was a success! 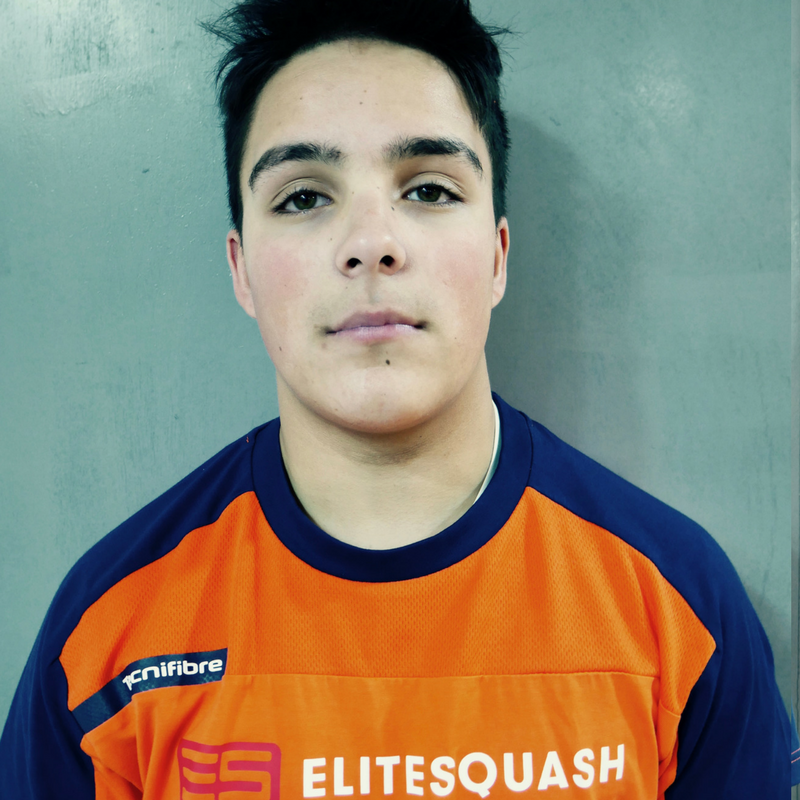 Abe is a junior who has been in our coaching system for 4/5years now and as a coach and a pupil we can both admit there have been highs and lows and many challenges throughout this period. Abe is a boy who has in simplest terms been dealt a tough hand in his childhood and this has caused many disruptions and difficulties in his life both emotionally and physically. Things perceived by many as the norm for example consistent education and support in a school system were always difficult for Abe. He found it hard to fit in and had behavioral issues, things he can still struggle with at times now and this has caused schools to effectively give up on him and cause him to be moved constantly in and out of different schooling systems. Through Squash (sport) there was a space where Abe could be in a happy place doing something he enjoys and gets great pleasure out of. A place he can also feel accepted within a tribe that is there to support him and give him the place to develop as an individual. Trust me, there have been moments when I questioned Abe’s continued involvement in our academy, due to heated conversations and fears that he would simply distract and ruin our other juniors development! In January I gave Abe a clear message ‘Abe you have an opportunity to make a choice for yourself, I am going to invite you on our team trip to Amsterdam but you have to improve many aspects of yourself and follow the expectations of Elite Squash and the general culture we represent in order to take part’ I would like to confirm these were his choices based on his preferences on whether he wanted to be part of our team, I did not wish to take power away from him as many things have been taken from him in his life but to open a door to something positive. Even though he still needs to progress and develop as many of us do he made a positive choice and improved considerably. When the trip started getting closer and the reality of him actually being part of it started settling I cannot describe the excitement I saw in his face (yes some a bit out of control but hey!). Its these moments that should hold so much value to us as coaches, at the end of the day we all strive for the best but that cannot be defined by just winning and losing, we are coaches and everything we teach will effect our pupils on and off the court. Abe’s and my experience was never going to be an easy one and it is still ongoing but through his experience and inclusion in the Dutch junior open he has learned what it takes to be the best you can be as a player and a person, he has created strong bonds/acceptance from his coach and peers and feels like he has a place in this difficult modern world but most importantly he has managed to make positive decisions for himself and sense and feel the reward that can give you. I am immensely proud of this young man and long may it continue! Positive and encouraging. I enjoyed this very much. Onwards and upwards Abe and Richard. Well done Richard, Nice story. Keep it up! It was nice meeting you in Amsterdam. Knut really enjoyed last week’s summercamp. Thank you for everything.